I'm sure most of us have seen "lots" of snow. 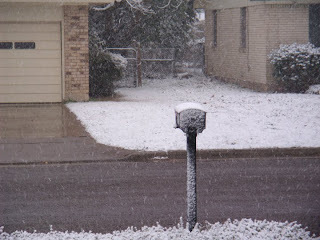 More than we had a short time ago in central Texas, for sure. 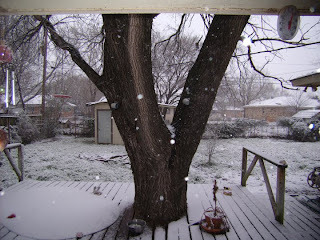 But for central Texas, a lot of snow is unusual. Therefore, a lot of people took a lot of pictures. I'm no exception. When something weird happens I want pictures! 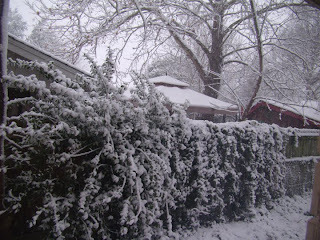 So here are a few pictures from the snowfall on February 23, 2010. 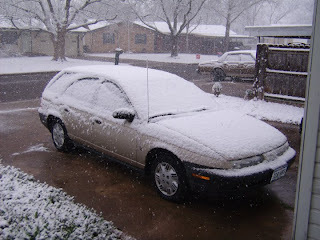 First, my car, for comparison to the photo in my 2/23 post. Flakes up close in the backyard. Ivy and bushes along the fence. 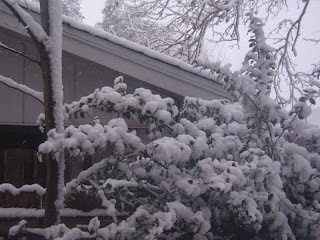 We got a total of three inches of snow that day.